Are there any other Fall-o-philes out there? Sweaters? Boots? Soup and biscuits for dinner? Roasted winter squash? Um, YES, please. 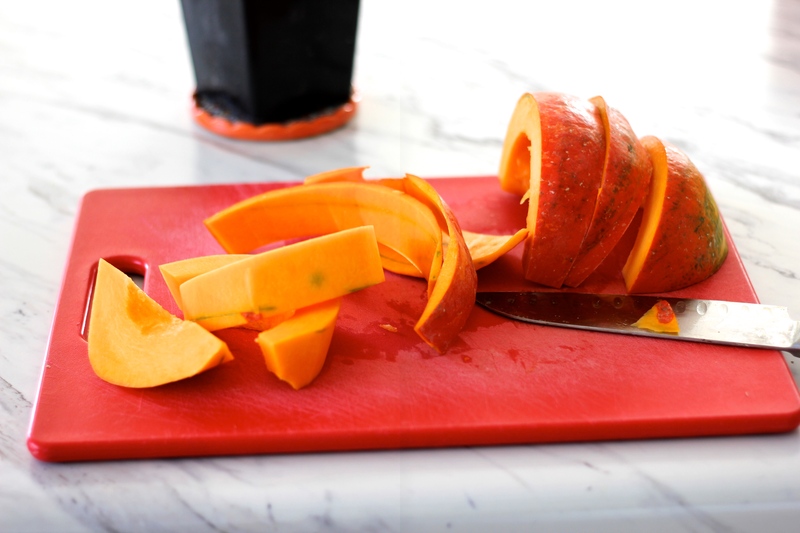 Did you know pumpkin is a winter squash? I grew up thinking pumpkins served two purposes: for Halloween to carve into jack-o-lanterns, and then, of course, for Thanksgiving in the form of pie. Other than that, pumpkins were pretty superfluous. Well, my friends, I am taking pumpkin by the stem for the month of October! We are going full-pumpkin-ahead to pumpkin-ize any and every pumpkin-o-phile meatless main dish. 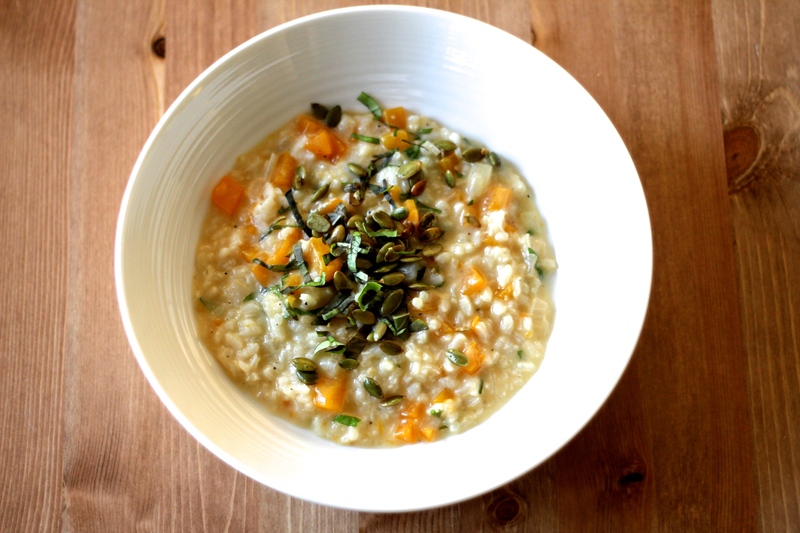 To start our pumpkiny journey: creamy Pumpkin Basil Risotto. 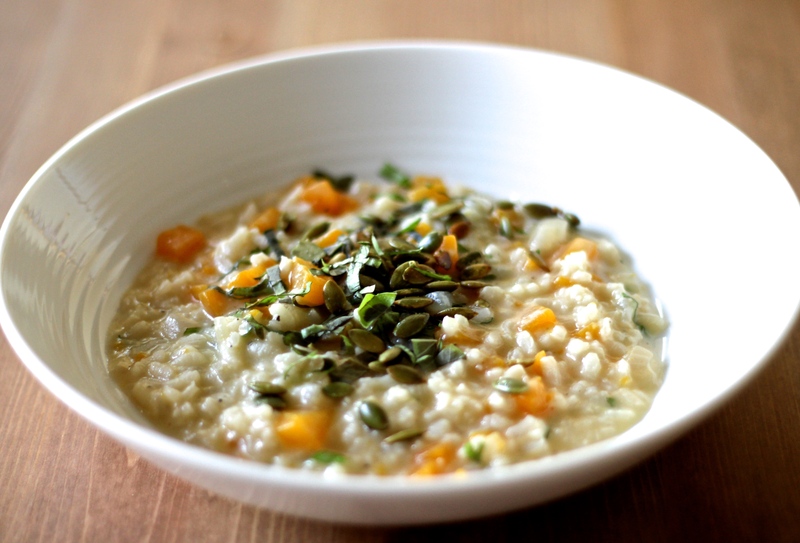 Risotto is a fantastic vehicle for any vegetable addition. In this case? A Cinderella Pumpkin! 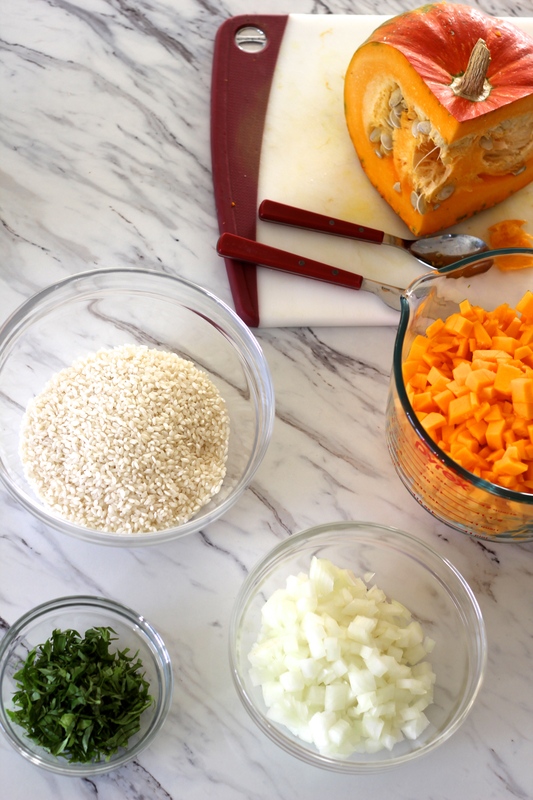 Serve your Cinderella Pumpkin Basil Risotto to your Prince Charming and it’ll pretty much guarantee he’ll be at your beck and call if your glass slippers–or dishes–need cleaning. I’ve only ever bought “jack-o-lantern” pumpkins for carving, and so I thought I’d try a variety of different pumpkins for my October dishes. I’ve also always thought all pumpkins–winter squash–had a hard shell of a skin. Imagine my surprise when I cut into the Cinderella Pumpkin and it sliced like butter! I sliced off the skin just like cantaloupe! I also usually use a grapefruit spoon to scoop out the seeds, but a normal spoon worked just fine! You know my rule: Prep all your ingredients and cook time will fly! Risotto isn’t difficult to make, but it does take a little time and love. I made a super large pot because I love turning my leftover risotto into arancini, but I did cut the recipe in half, reflected in the written recipe. One cup of rice goes a long way! 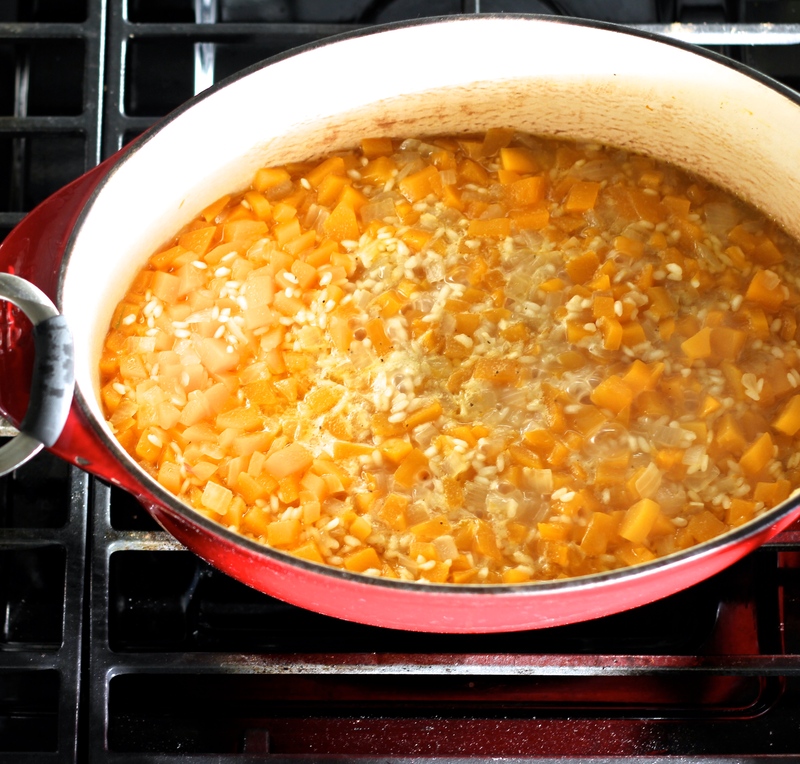 …Then add a little stock to just cover the rice, and cook some more. Blow a kiss. Repeat. The rice will transform into a soft and creamy, pudding-like mixture. 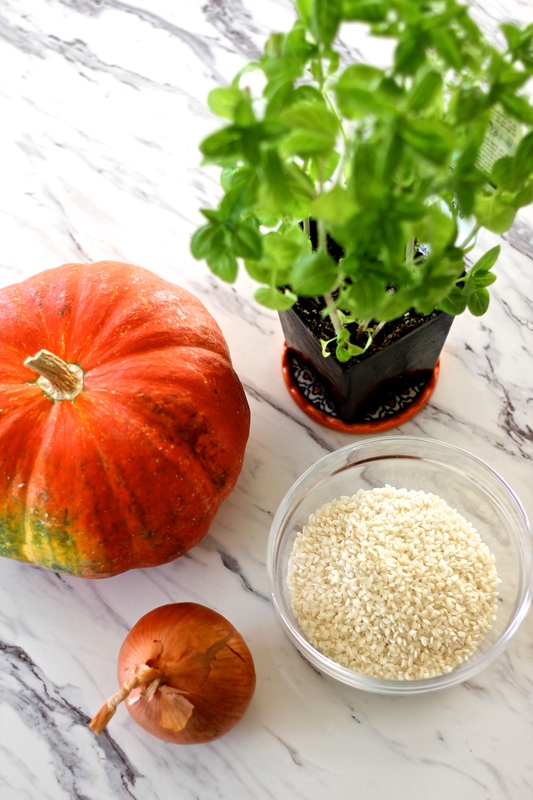 I thought maybe the pumpkin would break down into mush because it was so soft to cut, but it kept its shape and became this super smooth velvety texture that perfectly matched the creamy rice. 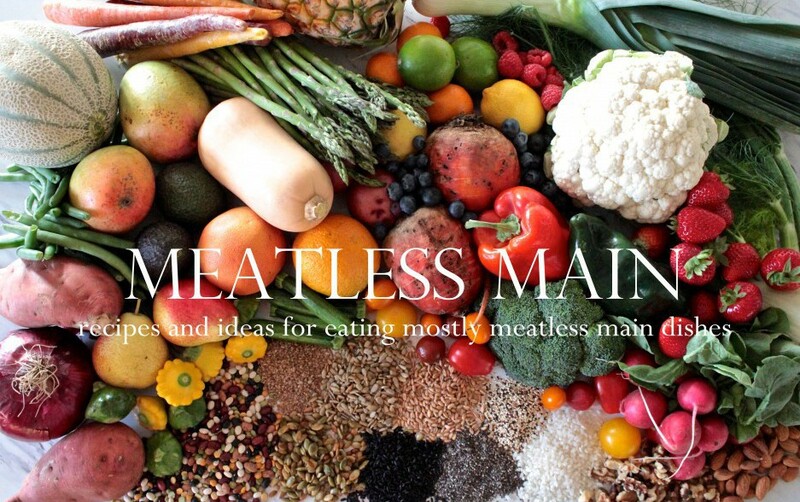 I did add parmesan cheese to mine (believe me, it’s totally worth the splurge to buy the real stuff instead of the powdered green bottle stuff), but if you want to keep it vegan, just substitute Nutritional Yeast Flakes. Top with fresh basil and roasted, salted pumpkin seeds, and you’ve got yourself a gourmet dinner fit for royalty. Coat the bottom of a large pot with olive oil, and saute the onion with salt and pepper to taste on medium heat. 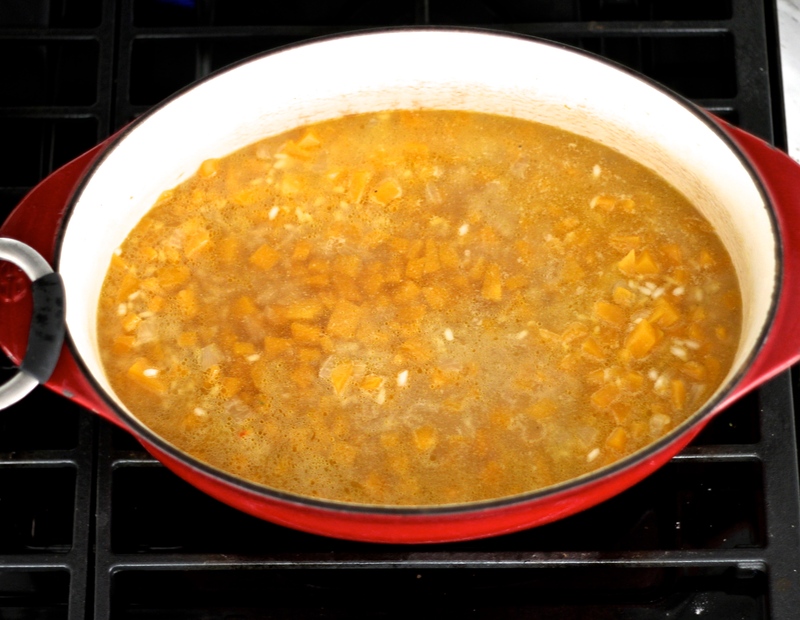 When the onion is translucent, add the rice and pumpkin and saute 5-10 more minutes and lower the heat to low. Add 2-3 cups of vegetable stock, until the rice is just covered, and 1/4 cup of julienned basil. Allow to come to a boil, and let cook and reduce until nearly all the stock has reduced. Add another 1-2 cups of stock and let cook and reduce. Continue adding stock, one cup at a time, and reducing, until the rice has transformed into a creamy soft mixture, about 30-40 minutes. When you add the final cup of stock, let it reduce just enough to be a thin, pudding-like mixture. Turn off the heat and stir in the cheese or nutritional yeast flakes. To serve, garnish with fresh julienned basil and roasted, salted pumpkin seeds.